Director Pascual Aldana of Explora Mexico Documentaries introduces us to two ecologists, Dr. Daniel Zizumbo and Dr. Patricia Colunga, from the Yucatán Center for Scientific Research. These investigators teamed up with archaeologist Fernando González of the Mexican Anthropological and History Institute (INAH) while studying the sophisticated manner in which agaves are grown at the foot of Colima’s Volcano of Fire and in the basins of three rivers in Colima and southern Jalisco. 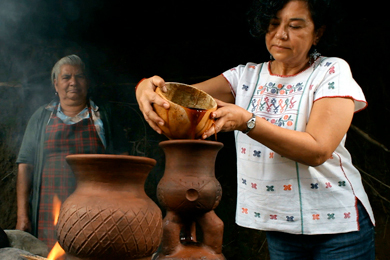 They found that these farmers are experts in producing hybrids of some 20 varieties of agaves which they eventually distill into mezcal (tequila) using the very same techniques practiced centuries ago by their forefathers.